13th Age Glorantha - Hardcover - Chaosium Inc.
Click the button below to add the 13th Age Glorantha - Hardcover to your wish list. richly imagined cultures, ferocious combat, and colliding mythologies. A distinctive setting that will entertain longtime fans but is aimed at gamers who've never heard of Glorantha. 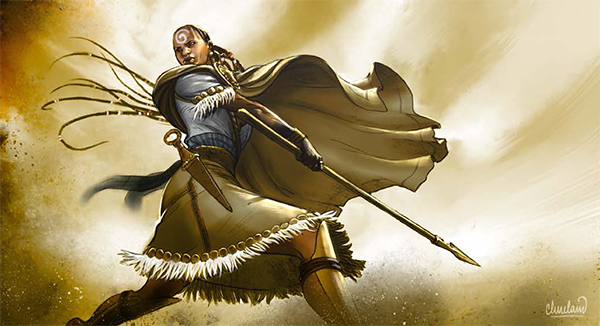 "13th Age Glorantha is a stunning migration of the Glorantha setting to the acclaimed 13th Age games system, in a format that does full justice to both. A superb reframing of a classic RPG game world... Sheer Gaming Delight"—Paul StJohn MacIntosh review, RPG.Net. "A 400+ page love letter to Greg Stafford’s World of Glorantha, one of the most extensively developed and renowned fantasy settings of all time"—EN World. "13G gets an enthusiastic thumbs up... 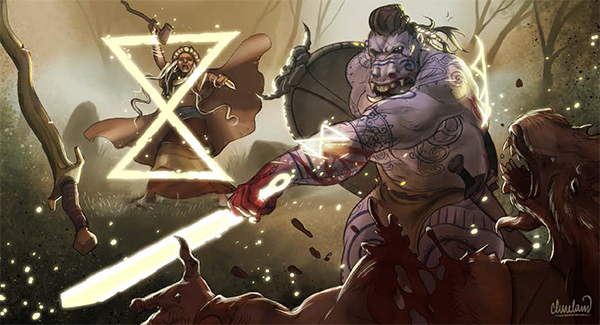 It is clear the authors love Glorantha, and their giddy enthusiasm is on every page"—Andrew Logan Montgomery, Exploring the Otherworlds of Fiction, Magic, and Gaming. "There is a lot to like in this book… The conversational tone of the rules means that you never have to wonder why something was done in the game. "—Gnome Stew. "Glorantha is such a rich place that it should be explored and loved by more gamers than it is... But, you regular gamer, you can play and run Glorantha, and relatively easily, too, without too much of a stick shift change in systems. You, oh GM of the weekly D&D group, can give your PCs the richness of Glorantha, too. Let me introduce you all next to 13th Age. 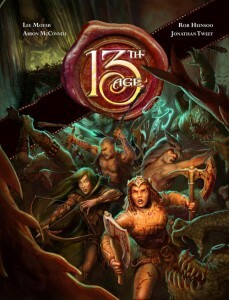 13th Age is my favorite of the current crop of D&D and D&D like games… (It is) is the fusion of these two that gives you a roleplaying experience in Glorantha, with the D&D like engine of 13th Age that you will find relatively easy to pick up. "—Nerds of a Feather, 2018 Holiday Gift Guide. "A well-designed combination of mechanics and setting which provides a truly majestic treatment of gaming in Glorantha. "—Reviews from R’lyeh. The 13th Age Core Rules are required to use this book. 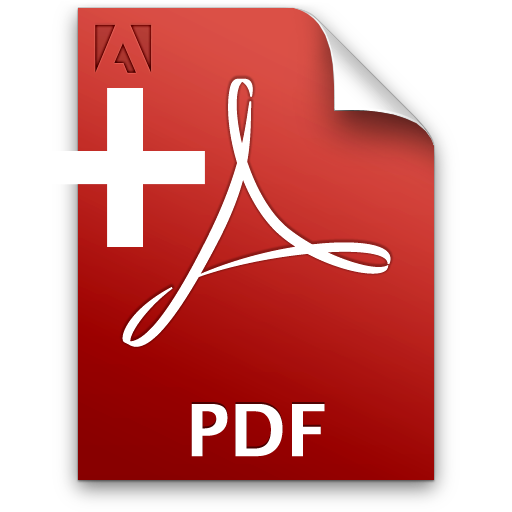 You can buy that from Pelgrane Press here.